Sterling silver St. George medal. 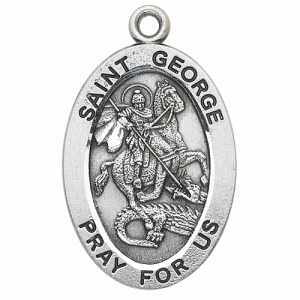 An 18 inch sterling silver curb chain is included with this Saint George medal. Available in 2 sizes. This medal usually ships in 3-4 business days.